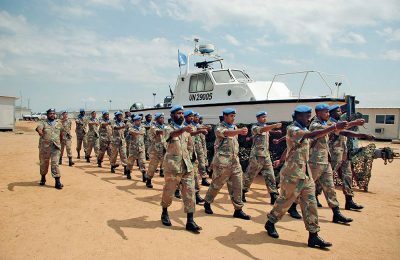 The planning, conduct and management of peace operations by the United Nations (UN), the African Union (AU) and its regional economic communities/regional mechanisms (REC/RMs) have improved significantly when compared to the early 1990s. Multiple factors have converged to explain this development, but critical among them is the impact of high-quality research undertaken by numerous stakeholders in the field of peace operations. 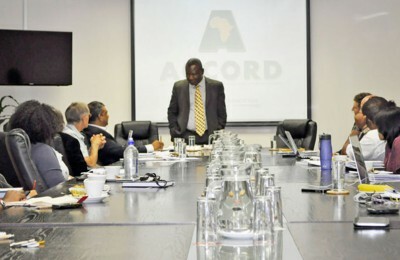 One of the many stakeholders that has contributed to policy development and training for peace operations through applied research is the Training for Peace (TfP) in Africa Programme. Since the inception of the TfP Programme in 1995 by the Norwegian government, it has worked through civil society organisations, training and research institutions to strengthen African civilian and police capacity for peace operations. 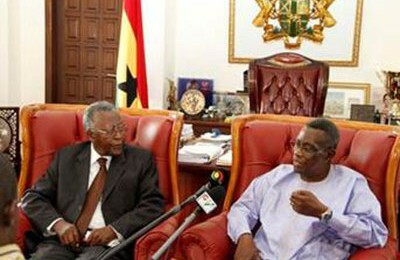 Current TfP partners include the Kofi Annan International Peacekeeping Training Centre (KAIPTC) in Ghana, the African Centre for the Constructive Resolution of Disputes (ACCORD) in South Africa, the Institute for Security Studies (ISS) in South Africa, and the Norwegian Institute of International Affairs (NUPI) in Norway. With a focus on training, rostering, policy facilitation and applied research, the TfP Programme and its partners have contributed actively to placing the civilian, police and multidimensional aspects of peace operations on the international and African peace and security agenda. This article examines the diverse research undertaken by TfP partners in supporting policy processes and training for peace operations. It specifically looks at how TfP research over the years has impacted on policy development and training for peace operations in Africa. The article begins by providing an overview of the different research undertaken by TfP partners. Although research by TfP partner institutions differs in terms of priorities and emphasis, the article focuses on the four thematic areas of the programme: women, peace and security; the protection of civilians; civilian capacity; and police capacity. The next section examines the linkages between TfP research and policy development in peace operations, on the one hand, and TfP research and training, on the other. 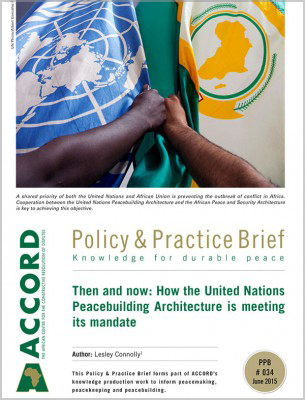 The article concludes by providing pragmatic recommendations on how the relationship between TfP research, policy development and training can be further enhanced for sustainable peace and security in Africa. 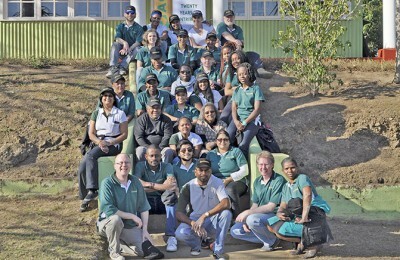 Research is an important component of the TfP Programme, and forms the basis of most activities and programmes undertaken by TfP and its partners. While TfP partners conduct most of their research on their own, some studies are undertaken collaboratively with other institutions. The objective of research carried out by partners has primarily focused on building sustainable capacity for peace operations in the UN, AU and African REC/RMs, albeit with different priorities and emphases. The bulk of TfP research has focused on areas such as women, peace and security; the protection of civilians; civilian capacity; police capacity; critical African peace and security policy issues; and several thematic topics important for peace operations and peacebuilding in Africa. Reports and peer-reviewed articles on different aspects of these thematic areas have been published by TfP partners in the form of paper series, manuals, handbooks, occasional papers, policy briefs, monographs, books and academic journals. TfP research findings have also been presented in several policy-oriented conferences organised by the partners, the UN, AU, RECs/RMs and other organisations. The implementation of UN Security Council (UNSC) Resolution 1325 and subsequent resolutions have a special focus on all TfP activities. In view of this, TfP partners have carried out several studies on women, peace and security in efforts to achieve the objectives set out in the various UNSC resolutions. Two important studies by the KAIPTC are worth mentioning. 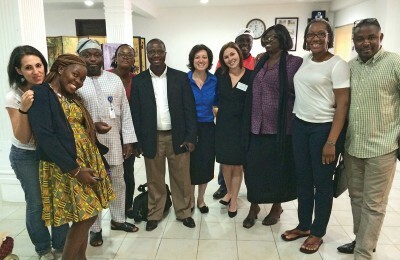 Between 2013 and 2014, the KAIPTC conducted a study on the processes of recruitment, selection, training and deployment of female police personnel to peace operations in four West African countries (Ghana, Burkina Faso, Liberia and Sierra Leone).1 Within the same period, the KAIPTC undertook a training needs assessment on conflict-related sexual violence (CRSV) in Mali, in collaboration with the UN Office of the Special Representative of the Secretary-General on Sexual Violence in Conflict (UNOSVC).2 The results of these two studies showed significant gaps and challenges in the implementation of UNSC Resolution 1325. 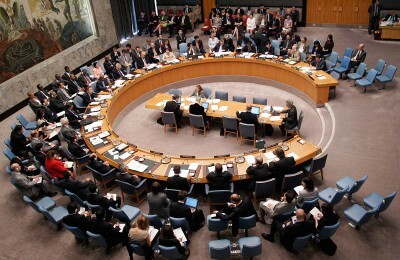 Similarly, NUPI carried out research on the implementation of UNSC Resolution 1325 in peace operations, focusing on the AU Mission in Somalia (AMISOM) and the UN Organisation Stabilisation Mission in the Democratic Republic of the Congo (MONUSCO).3 The study report was particularly significant for policy and capacity-building, due to the prevalence of issues such as sexual violence and human rights abuses. The ISS also developed a cross-cutting gender manual for peace operations in 2013, as part of its technical support to the Southern African Regional Police Chiefs Cooperation Organisation (SARPCCO) and East African Police Chiefs Cooperation Organisation (EAPCCO). The manual provides concrete tools for civilians, police and military personnel to apply gender perspectives in their work. 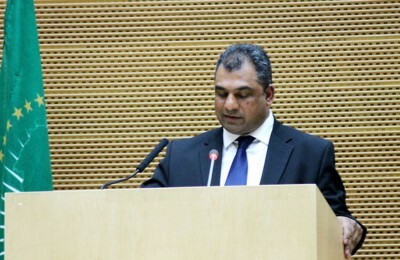 Generally, the different research studies conducted by partner institutions have increased the knowledge available for policy development at the national, regional and international levels; broadened the scope of existing policies; and promoted the emergence of new ideas, policies and skills in peace operations. NUPI’s 2013 research project. titled ‘Learning from Experience – International Police Reform’, which sought to generate new knowledge about policing in peace operations to improve police trainings and functions, is a case in point.25 TfP research has also helped the UN, AU, African RECs, AMISOM and UN missions in Sudan, South Sudan and Liberia to formulate, document, analyse and apply innovative ideas and practices from past and current peace operations.26 In addition, various research studies by TfP partners have encouraged the development of a common understanding and application of peacekeeping doctrines within Africa. TfP’s research on the civilian and police component has been more relevant to policy work. 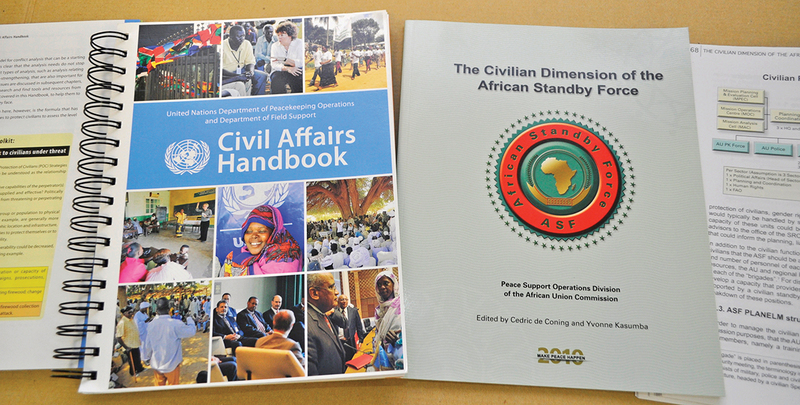 One example is ACCORD’s ASF civilian dimension book, which was developed in collaboration with the AU. 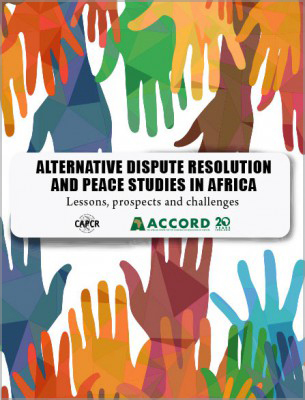 The publication has been utilised extensively by the AU, RECs and state and non-state actors in developing regional-specific civilian dimension policy frameworks and shaping the role of civilians in AU peace operations. Likewise, the Civil Affairs Handbook, developed in partnership with the UN Department of Peacekeeping Operations (DPKO), also serves as a reference guide for new and experienced civil affairs officers in both UN and AU missions. As a continuation of this work, NUPI has conducted research on local peacebuilding and supported policy processes to develop UN guidelines for understanding and responding to local perceptions and state-society relations in peacekeeping missions. This work has also increasingly involved the AU, which is facing similar challenges in newly liberated areas in Somalia. More significantly, another document that has provided policy-makers with a one-stop reference point for decision-making on West African regional security is the KAIPTC Compendium of ECOWAS Peace and Security Decisions, Protocols and Peace Agreements, published in 2010.27 The compendium is a compilation of all ECOWAS’s security-related instruments, which was previously difficult to access in one comprehensive document. Also important is the ISS’s included guidance on gender mainstreaming, developed for the South Africa National Defence Force (SANDF) in 2013. 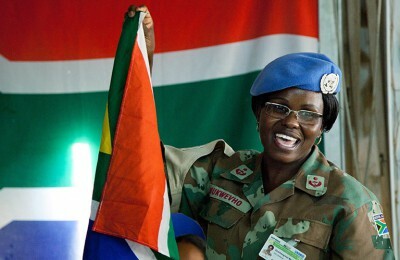 Through this guidance, the SANDF has defined its direction on gender mainstreaming with respect to peace and security on the African continent. NUPI has also been active in indirect policy support to the Norwegian Ministry of Foreign Affairs and the UN, through its research on the protection of civilians, the implementation of UNSC Resolution 1325 and the police dimension of peace operations. TfP research impact on policy development is also evident in the provision of technical assistance to the UN, AU and missions in Africa. Between 2010 and 2011, TfP supported the UN DPKO in the development of the Protection of Civilians Strategic Framework and assisted with the implementation of the framework in specific missions. 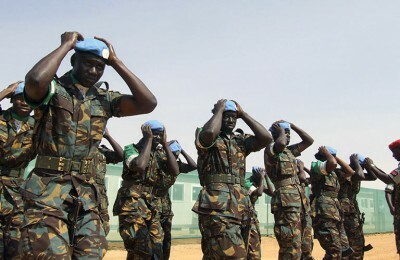 In 2013, TfP partners also supported UN Police reform (the Strategic Guidance Framework) and UN missions such as UNMISS, and participated in the AU assessment team of the ASF. 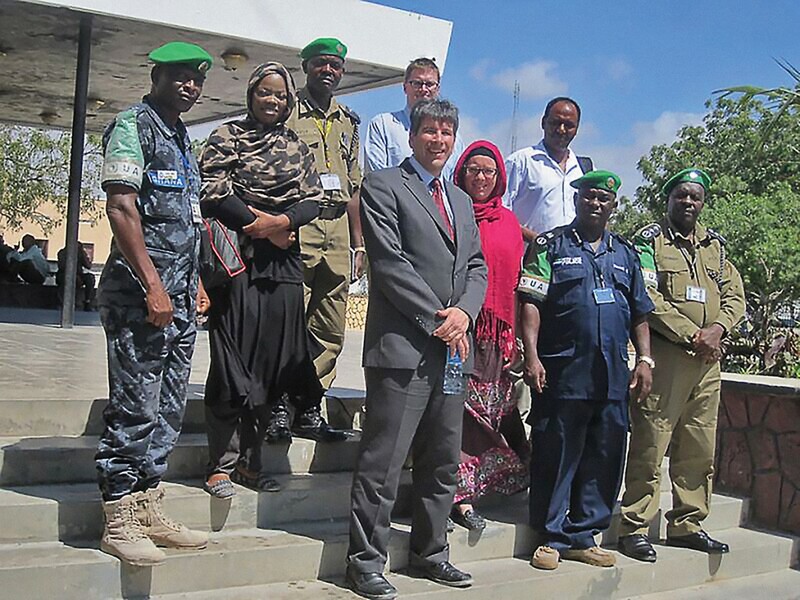 In the same period, the TfP supported and cooperated with the African Peace Support Trainers Association (APSTA) to enhance needed civilian capacities of AU missions, such as AMISOM. 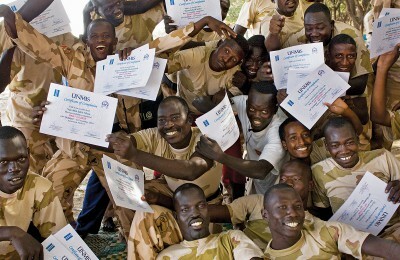 TfP has, since 1995, provided specialised need-based training courses for more than 9 000 civilian and police officers about to be deployed or already deployed to UN and AU missions.28 Research within the programme contributes to improving these trainings and other capacity-building initiatives. TfP research is used in designing, updating and improving training curricula and, moreover, serves directly as training material for courses. 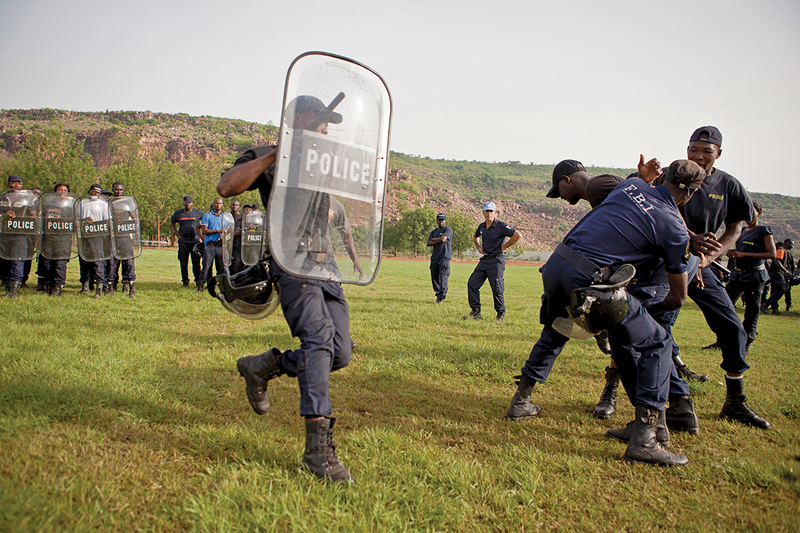 For example, an assessment and evaluation by the ISS in 2013 led to the redesign and upgrading of the standard UN Police Officers Course (UNPOC) to respond to the changing demands of the peacekeeping environment. 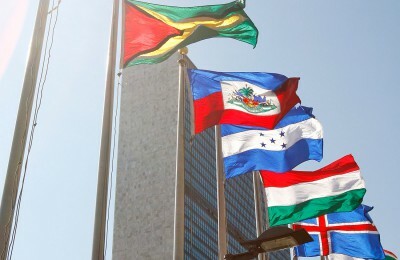 The revision of the UNPOC was finalised in 2014, with additional upgrading in accordance with the new UN policy for policing in peace operations. At the global and continental levels, TfP partners are involved in the development of AU and UN training standards and curricula for the police and civilian dimensions of peace operations. 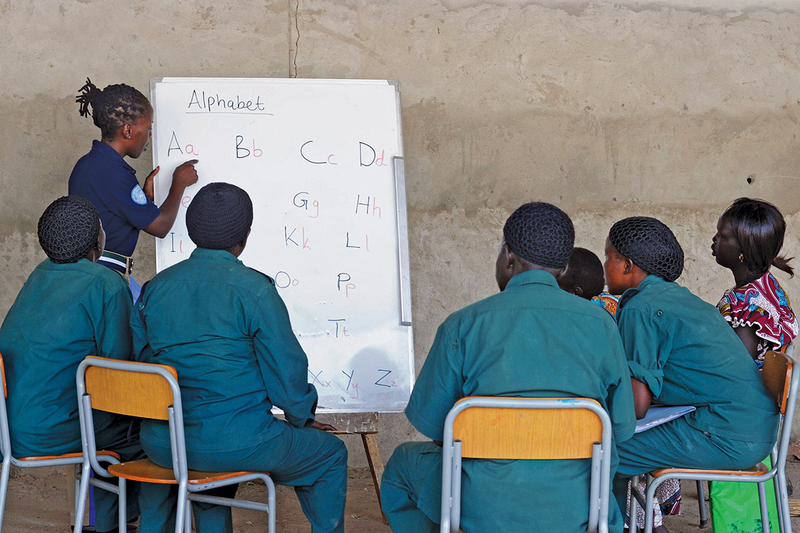 In 2013, TfP partners supported the UN DPKO in the development of the protection of civilians training materials and assisted in the training or capacity-building of personnel in certain African missions, such as AMISOM. Research has also helped to develop new understanding, knowledge and approaches that provide the basis for more effective training and education by partners. Hitherto, the conduct of training was not based on any needs assessment. Today, however, the training methodology of almost all TfP partner institutions is based on research and specific mission needs. ACCORD’s engagement with UNMISS and the provision of mission-specific training for the civil affairs officials of the mission is an example of how research findings have been used to advance training. Equally, the KAIPTC has developed an innovative approach to working out new training courses and updating existing courses, based on research conducted by the TfP Programme. KAIPTC courses in conflict prevention, police pre-deployment training, police middle management, the prevention of sexual and gender-based violence, and CRSV were developed according to this methodology. At the KAIPTC, TfP publications have either served directly as training material for courses or as guidance for the development of training curricula and manuals.29 In 2013, findings from a TfP-funded training needs assessment on CRSV in Mali was used to develop the curriculum for the KAIPTC CRSV course, in collaboration with the UNOSVC.30 ISS research on policing in peace operations has also been instrumental in the development and updating of its pre-deployment training materials for SARPCCO, EAPCCO and personnel about to be deployed to UN and AU peace operations. Research, policy support and training have been, and continue to be, highly significant and reinforcing of the overall strategic design of TfP interventions. As demonstrated in this paper, TfP research has contributed to increased knowledge in issues related to peace operations and has enhanced the planning, management and implementation of peace operations in response to the changing dynamics of conflict in Africa. It has also advanced policy debates on relevant peacekeeping and post-conflict issues in Africa, and promoted the emergence of new ideas, policies and skills in peace operations. In addition, TfP research is used to design, update and improve curricula/modules and training material for courses. While TfP research has made a positive impact on training and policy development in peace operations, more could be done to enhance the effective use of research results. First, the synergies between TfP researchers, policymakers and peacekeeping trainers need to be enhanced. Second, better means of sharing research outputs with policymakers should be developed to enable effective access to and use of research results. Presenting research findings in summary form, using clear and simple language, documenting all partners’ research in accessible databases and organising regular roundtables to promote research findings with media assistance can help in this regard. Third, TfP research should be more tailored to the impending priorities and needs of policymakers, and not individual and institutional interests. In this regard, the discourse should not only focus on how research feeds into policy development and training, but rather how policy and training needs influence research. Lastly, TfP researchers need to understand decision-making processes, especially within the African RECs, and what roles they can play to better support such processes. Overall, the TfP Programme’s research impact on policy development and training has significantly improved the planning, conduct and management of peace operations by the UN, AU and REC/RMs in Africa. 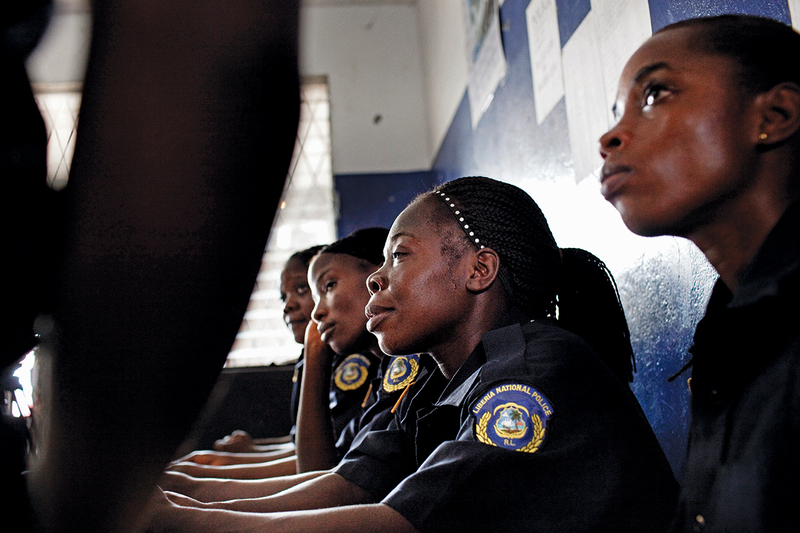 Avoxe, Evelyn (2013) Implementing UNSCR 1325 in the Selection, Training and Deployment of Female Police Personnel – Case Study of Ghana, Burkina Faso, Liberia and Sierra Leone. KAIPTC Occasional Paper; Edu-Afful, Fiifi (2013) 1325 and Policing in West Africa: Interrogating the Sierra Leonean Case. KAIPTC Policy Brief, 8. Annan, Nancy and Avoxe, Evelyn (2013) Conflict-related Sexual Violence in Mali: Training Needs Assessment. Accra: KAIPTC/TfP. De Coning, Cedric, Harvey, Joanna and Fearley, Lillah (2012) Civil Affairs Handbook. 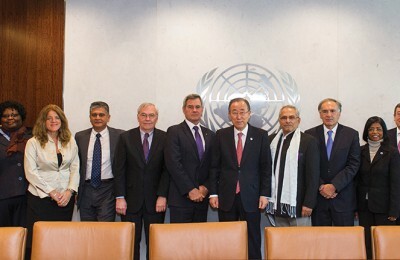 New York: UN Department of Peacekeeping Operations and ACCORD. De Coning, Cedric and Kasumba, Yvonne (2010) The Civilian Dimension of the African Standby Force. 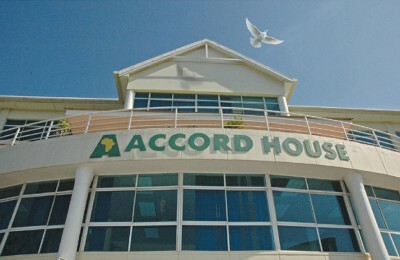 Addis Ababa: African Union Commission and ACCORD. De Coning, Cedric, Karlsrud, John and Breidlid, Ingrid Marie (2013) Turning to the South: Civilian Capacity in the Aftermath of Conflict. Global Governance, 19(4). Karlsrud, John et al. (2013). 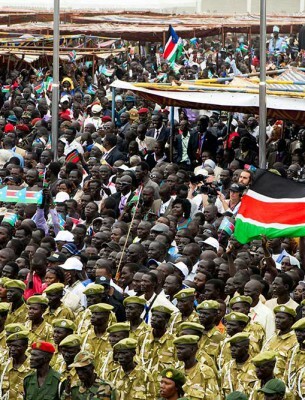 Triangular Co-operation for Government Capacity Development in South Sudan. Oslo: Norwegian Peacebuilding Centre/TfP, Norwegian Institute of International Affairs. Addy, D.N. 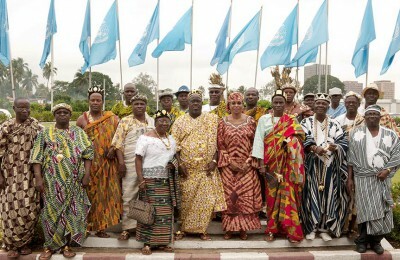 and Atuobi, Samuel (2009) Towards the Operationalisation of Civilian Component of the ECOWAS Standby Force. KAIPTC Policy Brief, Issue 2009/2; Okyere, Frank and Abdallah, Mustapha in cooperation with Atuobi, Samuel (2010) ‘Enhancing the Operationalisation of the ECOWAS Conflict Prevention Framework’, KAIPTC Workshop Report, Available at: <http://kaiptc.org/Training/Documents/ECPF-workshop-report-_English_.aspx> [Accessed 23 May 2015]. Caparini, Marina, Hareide, Bjørn, Leijenaar, Annette and Scheepers, Elma (2013) Review of Training for Peace in Africa (TfP) Police Dimension, 1995–2012. Oslo: Training for Peace. The ‘Strategic Guidance Framework for International Police Peacekeeping – Framing the Framework’ Challenges Forum Research Seminar was hosted by the Norwegian Institute for International Affairs (NUPI) in Oslo from 18 to 21 March 2014. De Coning, Cedric, Gjelsvik, Ingvild Magní¦s and Dessu, Meressa K. (2014) The Role of the Police in the African Union Mission in Somalia. Oslo: Training for Peace; Aubyn, Festus (2015) Policing and Peace Operations in Africa: Reflections on MINUSMA. KAIPTC Occasional Paper, 39; Caparini, M., Aubyn, F., Davies, O.V., Dessu, M.K. and Peter, M. (2015) The Role of the Police in UNAMID. ISS Monograph, 190. Leijenaar, A. (2013) UNMISS UNPOL Capacity Assessment. UN Paper. Aning, Kwesi and Salihu, Naila (2012) Protection of Civilians in Peace Support Operations: Lessons from Côte d’Ivoire. 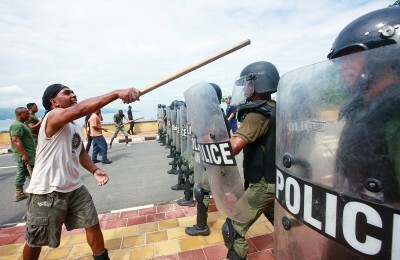 Conflict Trends, 2012/2, pp. 25–32; Aning, Kwesi and Salihu, Naila (2011) Accountability for Intervention: Negotiating Civilian Protection Dilemmas with Respect to Economic Community of West Africa States and Africa Union Interventions. African Security, IV (2), pp. 81–99; Aning, Kwesi, Atuobi, Samuel and Salihu, Naila (2011) Protecting Civilians in Côte d’Ivoire: Addressing Unanswered Questions. KAIPTC Policy Brief, 2011/6. De Carvalho, Benjamin and Sending, Ole Jacob (eds) (2012) The Protection of Civilians in UN Peacekeeping: Concept, Implementation and Practice. Baden-Baden: Nomos Verlagsgesellschaft. 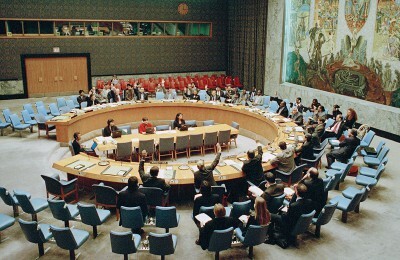 Aoi, Chiyuki, De Coning, Cedric and Thakur, Ramesh (eds) (2007) Unintended Consequences of Peacekeeping Operations. Tokyo: United Nations University Press. 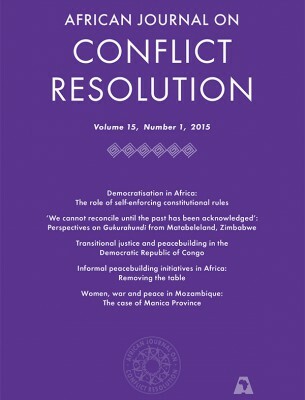 Aning, Kwesi (2013) Challenges and Opportunities for the AU’s Peace and Security Council: A Critical Reflection from a Regime Analytical Perspective. In Porto, J.G. and Engel, U. (eds) Towards an African Peace and Security Regime: Continental Embeddedness, Transnational Linkages, Strategic Relevance. Surrey: Ashgate Publishing. Aubyn, Festus and Aning, Kwesi (2013) Managing Complex Political Dilemmas in West Africa: The Role of ECOWAS in Mali. New Routes; Aubyn, Festus (2013) Managing Complex Political Dilemmas in West Africa: ECOWAS and the 2012 Crises in Guinea-Bissau. 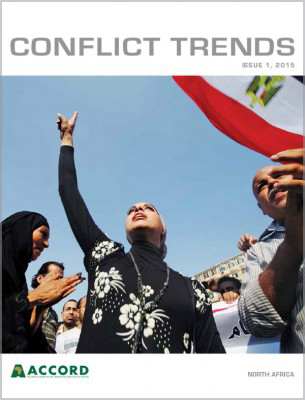 Conflict Trends, 2013/4, pp. 26–32. Karlsrud, John (2013) Peacekeeping 4.0: Harnessing the Potential of Big Data, Social Media and Cyber Technologies. In Kramer, Jan-Frederik and Müller, Benedikt (eds) Cyberspace and International Relations: Theory, Prospects and Challenges. Berlin: Springer. Jaye, Thomas (2013) HIV/AIDS Dimensions of Disarmament, Demobilization (DDR) and Security Sector Reform (SSR) Processes in Post-conflict Reconstruction. International Peacekeeping, 20(4), pp. 507–520. Okyere, F.O. and Abdallah, Mustapha (2011) The NATO Intervention in Libya: Implications for the Protection of Civilians and the AU’s Pan-Africanist Agenda. KAIPTC Policy Brief, 2011/7. De Coning, Cedric, Karlsrud, John and Gelot, Linnea (2015) Strategic Options for the Future of African Peace Operations: 2015–2025. Oslo: NUPI and NAI; Aning, Kwesi and Aubyn, Festus (2013) UN Peacekeeping and Prospects for Conflict Resolution in Africa. In Beri, Ruchita (ed.) India and Africa: Enhancing Mutual Engagement. 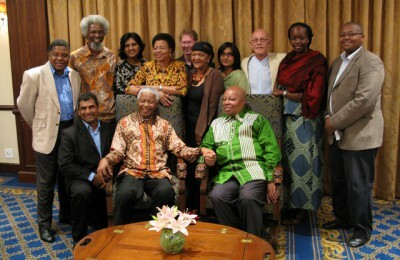 New Delhi: Pentagon Press; Okyere, Frank, Aning, Kwesi and Nelson, Susan (2013) Article 4(h): Translating Political Commitment into Collective Action. In Kuwali, D. and Viljoen, F. (eds) Africa and the Responsibility to Protect: Article 4(h) of the African Union Constitutive Act. London: Taylor & Francis, pp. 278–287. Chr. Michelsen Institute (2014) Building Blocks for Peace: An Evaluation of the Training for Peace in Africa Programme. Draft Report, 2 July. Tjønneland, Elling N. and Albertyn, Chris (2010) Navigating Complexity. 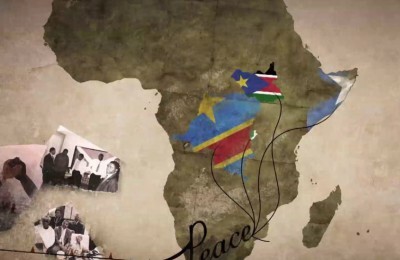 A Review of Training for Peace in Africa. Final Evaluation. NORAD Collected Reviews, 2/2010. Karlsrud, John (2015) The UN at War: Examining the Consequences of Peace Enforcement Mandates for the UN Peacekeeping Operations in the CAR, the DRC and Mali. Third World Quarterly, 36(1); Mateja, Peter et al. (2015) United Nations Peace Operations. Oslo: NUPI. Norwegian Ministry of Foreign Affairs (2013) Training for Peace: Consolidated Annual Progress Report 2013 for the Training for Peace Programme (TfP). Oslo: Norwegian Ministry of Foreign Affairs. De Coning, Cedric and Freear, Matthew (2013) Lessons from the African Union Mission for Somalia (AMISOM) for Peace Operations in Mali. Stability: International Journal of Security and Development, 2(2). Aning, Kwesi, Birikorang, Emma and Jaye, Thomas (2010) Compendium of ECOWAS Peace and Security Decisions, Protocols and Peace Agreements. 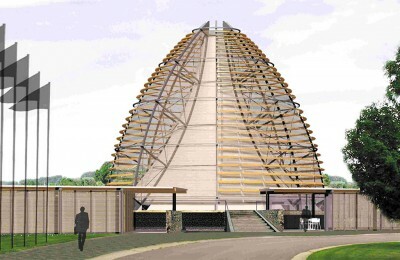 Accra: KAIPTC/GIZ/TfP. See, for example, Aubyn, Festus, Edu-Afful, Fiifi, Allotey-Pappoe, Serwa and Nelson, Susan (2015) An Assessment of Police Pre-Deployment Training: Ghana Study. KAIPTC Occasional Paper, 40. Annan, Nancy and Avoxe, Evelyn (2013) op. cit. 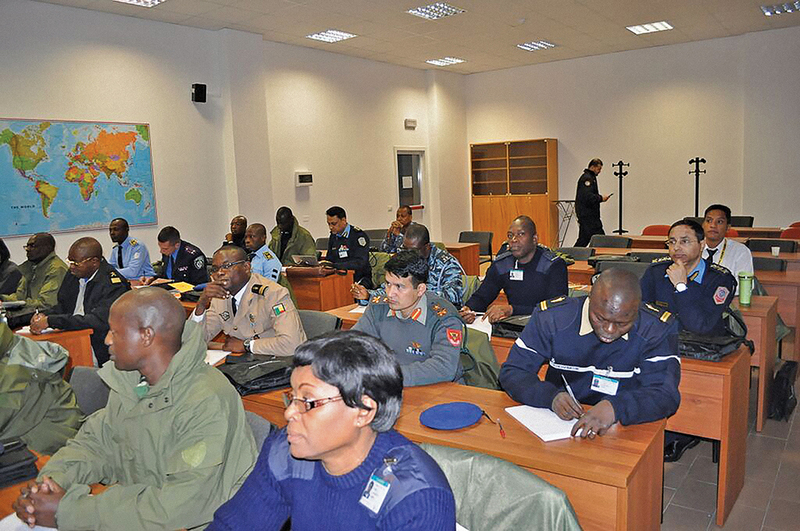 The courses have been conducted in Côte d’Ivoire and Mali to enhance the capacity of approximately 120 participants from national security agencies, peacekeeping related organisations, academia and civil society organisations with skills to prevent and respond to conflict-related sexual violence. 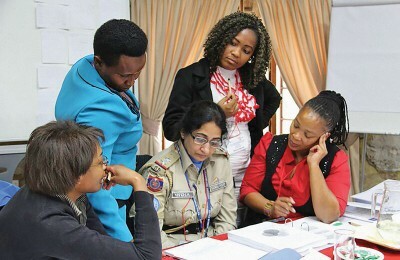 The Norwegian Police Directorate – a supporting partner in the TfP Programme – conducted a driving and English course for 68 female police officers of the Malawi National Police in February 2013, to help them pass the UN Selection Assistance and Assessment Team test for peace operations.